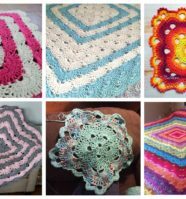 What better way to practice your crochet muscles than to work on simple crochet patterns that not only will produce stunning work – it also doesn’t require a PhD to master. 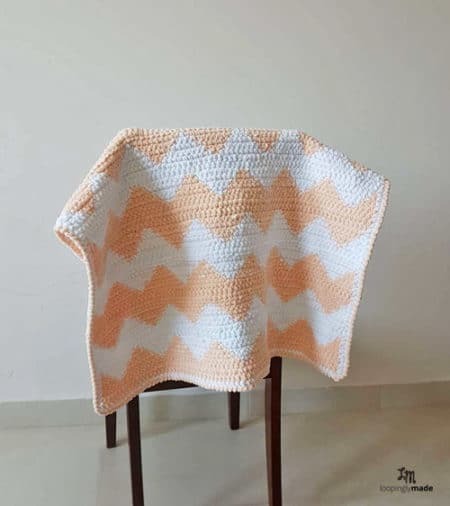 And what could be more simple than a blanket! But just because we want it simple, we are going to settle for bland and lifeless… these choice patterns we gathered here for you have lovely and colorful personalities of their own! 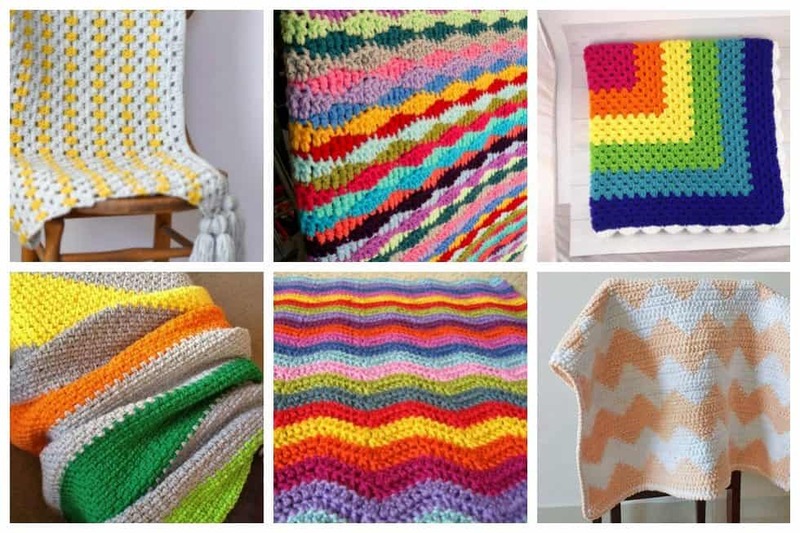 Check out these 12 simple crochet patterns of colorful blankets and see if you can give it your own little twist! 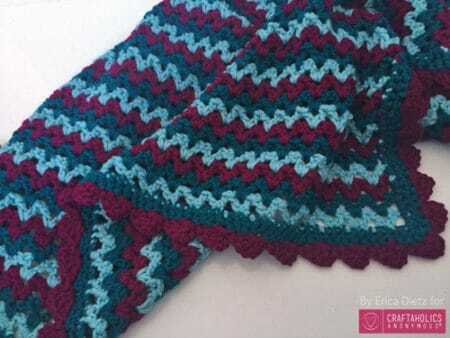 This project is a fun granny stripes lapghan that can be made with any colors that you’d like. Feel free to get as wild as you want with the colors, or just play it safe if that’s what you prefer. 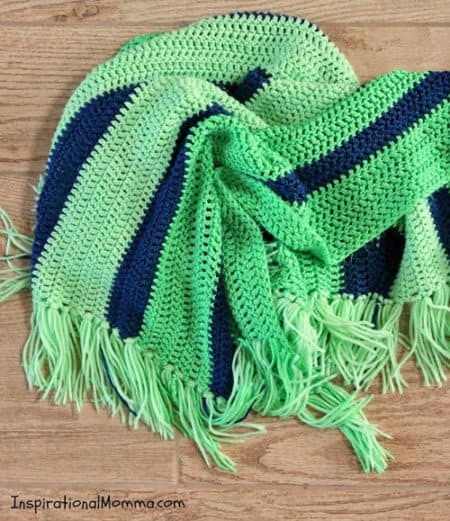 The best thing about this blanket is its simplicity. The grey with the yellow makes a soothing yet playful pairing and the mix isn’t overly bright or busy. It’s so easy too! 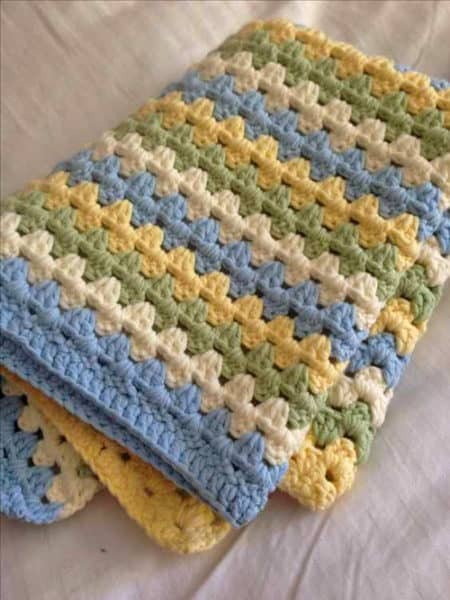 This blanket is a perfect project for all crocheters, even beginners. 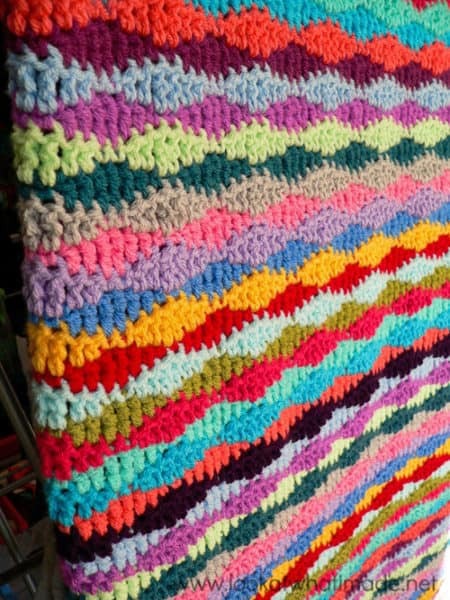 You can create this gorgeous blanket with just one stitch, the double crochet. Then, to add a little flair, we added some cute fringes to top it off. 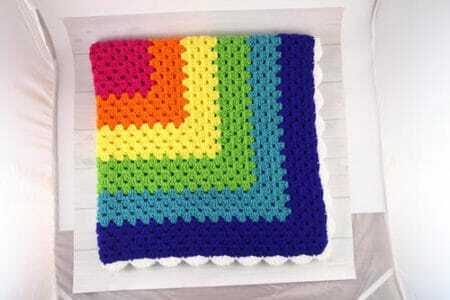 Crochet the Rainbow Granny Square Throw is a crochet blanket that is essentially one large granny square, so you can work it as large or as small as you want by choosing how many rounds to crochet when working this up. 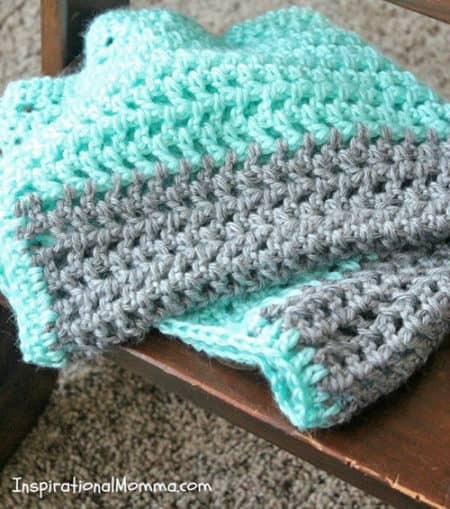 This crochet blanket is beginner-friendly, so this is perfect practice if you’re just learning how to crochet. This blanket is made of moss stitch and it shrinks as it is worked so make your chain a little longer than what you want your blanket to be. You may plan out how you would like your stripes to look or you can just wing it! 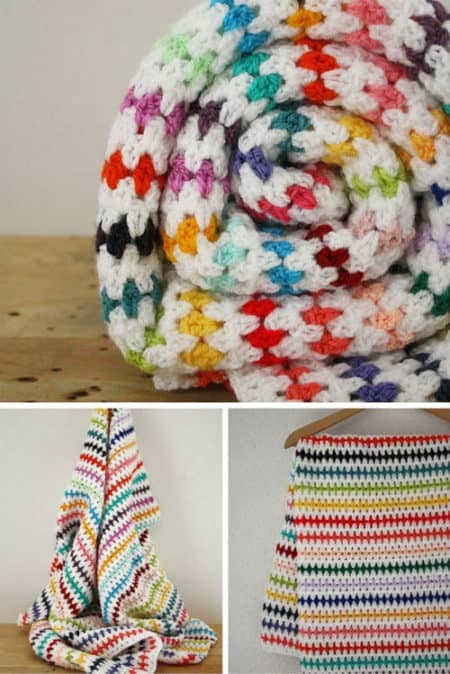 Granny stripe baby blanket in any color combinations you wish. Indulging in the bright and happy colors, or calming and soothing … the choice is yours. This pattern works effectively for girls and boys alike. 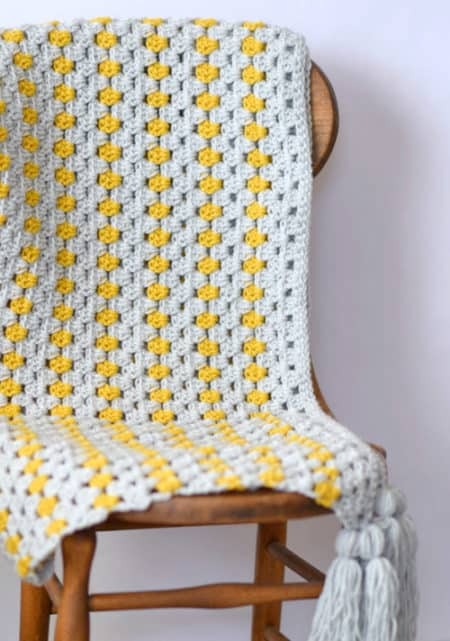 This easy crochet blanket is just the pattern you need to relax with. Not only is it a simple pattern to follow, but it’s also a great stash buster. 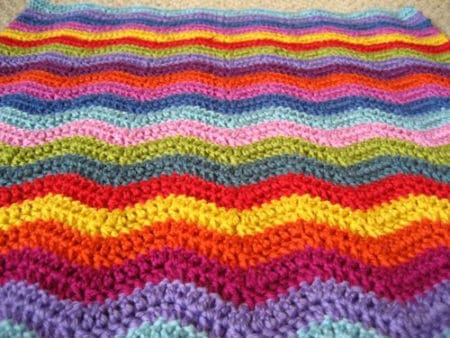 This crochet afghan will take those scraps and turn them into this bright, colorful, and funky crochet blanket. Make a splash of color to your home with the help of this awesome pattern. This blanket is not hard at all, you’ll get the hang of it. The name of the pattern is due to the diamond-like shapes created by the colored yarn. 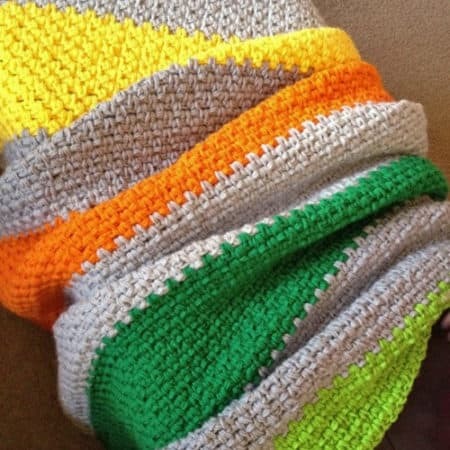 This blanket is made using the v-stitch. 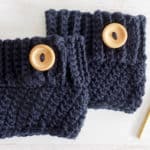 It is a really common stitch and very easy to learn if you haven’t used it before. This pattern is not only fast, but it is also very simple for beginners. Also, keep in mind that the colors can be varied depending on the look you want to achieve. Look at all those hooky ripplesome ripples, aren’t they glorious? It’s relatively simple, rhythmic and soothing, but playing with colors in this way is also energizing, exciting and a lot of fun. This design mimics the chevron stitch, but is actually basic tapestry crochet. It is so easy to master and customize. 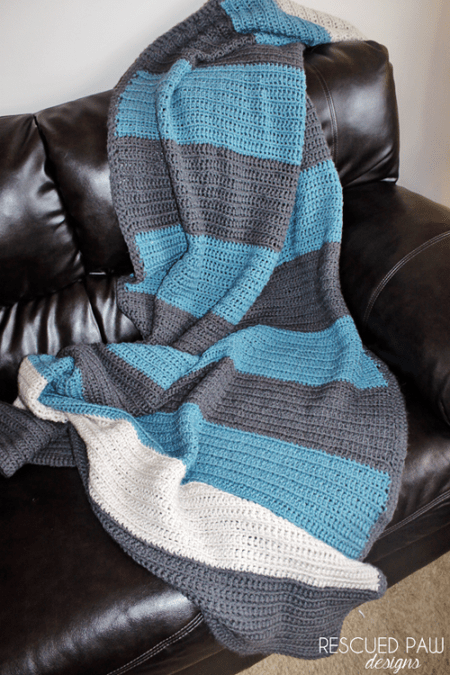 This simple crochet blanket pattern featuring fun stripes is extremely easy to make which makes it perfect for beginner crocheters and those who are looking for a quick weekend crochet project. There are some color changes to achieve the color blocked stripe look, but I promise you can do it! 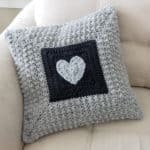 What did you think of these simple crochet patterns? Are these simple enough for you? If you happen to be inspired in making one, we’d love to see them! Do share your work in our comments section.